When you think of the Federal Trade Commission, you expect to hear of a new consumer protection measure or perhaps a corrective action taken against a company that short-changed consumers in some way. So it may come as a surprise to learn that the FTC's newest initiative is something called the Economic Liberty Task Force, which Acting Chairman Maureen K. Ohlhausen said is her first major policy initiative for the agency. To many consumers, "economic liberty" may sound like a license to plunder, but Ohlhausen says she's trying to address regulatory hurdles to job growth, including what she said is "the proliferation of occupational licensing." Nearly 30 percent of American jobs require a license today, up from less than five percent in the 1950s, Ohlhausen said. For some professions, occupational licensing is necessary to protect the public against legitimate health and safety concerns. But in many situations, the expansion of occupational licensing threatens economic liberty, she said. “This is an important moment for economic liberty. Governors, state legislators, and many other stakeholders want to move forward to remove or narrow occupational licensing regulations and open doors to opportunity, enhancing competition and innovation,” said Ohlhausen. It may sound outrageous, but Ohlhausen is not alone. Last year, the Obama Administration made $7.5 million in grants to organizations working to prune licensing requirements, which one federal report said not only retard job growth but also cost consumers more than $100 billion per year in higher prices. The Defense Department has also weighed in on the issue, noting in a 2012 report that military spouses are often hampered in finding employment because of widely differing licensing requirements from one state to another. "About 35 percent of military spouses work in professions that require state licenses or certification. They move across state lines far more frequently than the general population. These moves present administrative and financial channels," said one DoD report cited by Reason Magazine. 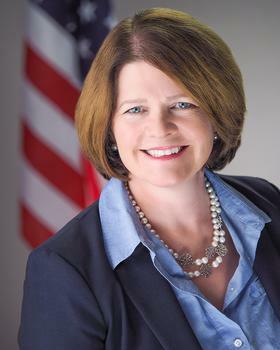 Ohlhausen's task force has set up a website that she said "will gather many existing resources, from the FTC and elsewhere, into a central repository for stakeholders." The website features FTC testimony before Congress on occupational licensure, as well as blogs on the topic, and selected speeches and articles by FTC officials and staff.